Crabs are in season right now, so it is a great time to make a trip to your local fishmonger. This crab cakes recipe is a great way to make use of those fresh crabs, and it couldn’t be any simpler. The freshly picked crab claw meat is combined with fluffy mashed potato, and flavoured with fresh herbs and the zest and juice of one lemon. Follow my crab cakes recipe for the perfect seasonal, spring dish! 1. In a bowl combine all the ingredients bar the egg and flour, mix really well and make patties. 2. Beat the egg in a shallow plate and dip each patty in the egg then in the flour. 3. Heat some oil in a pan and cook till brown. 4. Serve with a lovely green salad and enjoy! For more exclusive Jette Virdi videos for TheTaste check out TheTaste Foodie TV. 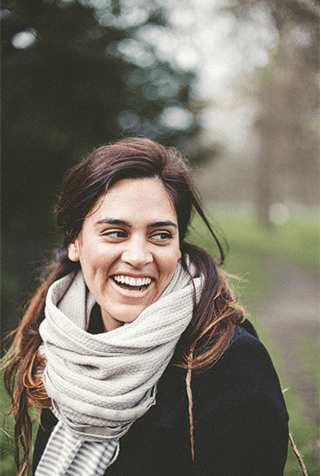 Jette Virdi is a Dublin-based food stylist and creative entrepreneur. With a portfolio including clients such as Rozanna Purcell, Rachel Allen and Bord Bia, she’s your girl if you need an evocative image or event. Well known within the food industry, she consults with Irish brands to create and style recipes, to design and manage product launches and and hosts creative corporate workshops that boost productivity and team performance in the workplace. For more information and to contact Jette for a project go to jettevirdi.com. For more recipes visit her blog.